Weight 20 lb; Length 35"; Width 14"; Height 22" Manufactured in Jacksonville, FL. Reggie says, "Ideal for parents and grandparents, dayschools, nurseries and kindergartens". INSTALLATION INFORMATION: Requires one Phillips-Head screw driver. 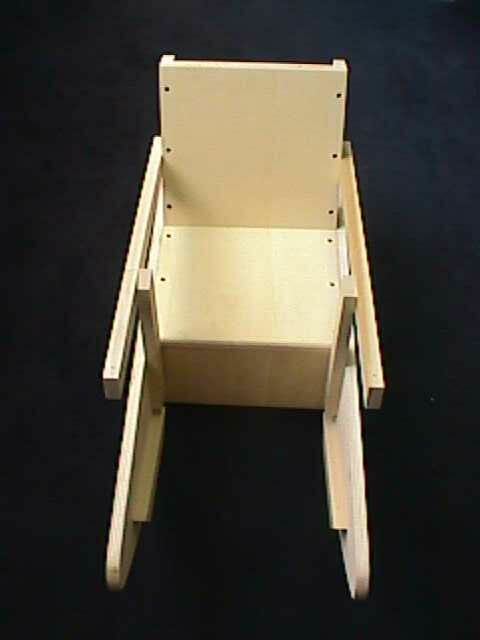 Hardware consists of 26 Screws, used commonly throughout assembly of Rocker.